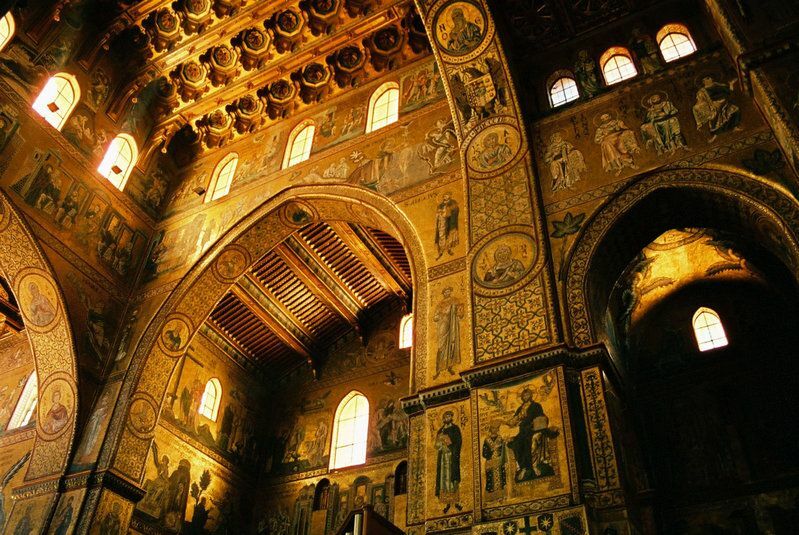 Its first attraction is the medieval Cattedrale di Monreale, which is thought the best archetype of Norman building in Sicily. To surpass Roger II and Walter of the Mill, William II, who lies in a sarcophagus in the cathedral, decided to have this cathedral built following a vision of the Virgin. The mosaics were created by artisans from Sicily and Venice; however, the Byzantine style is remarkable. Their work was finished in ten years and depict the magnitude of cultural life on the island at the time they were made. 42 ravishing different mosaics represent different scenes from the Old Testament. One of them is a depiction of Adam forced to work after the eviction from Eden while Eve observes. The cloister has a different entrance from the cathedral. It was also commissioned by William II. In it the Arab style dominates. Its peaceful courtyard is surrounded by Romanesque arches based on elegant pillars tiled with mosaics. Their capitals are different one from the other with sculptures representing different aspects of medieval Sicilian history. One of them is the representation of William II honouring the Madonna with the cathedral. 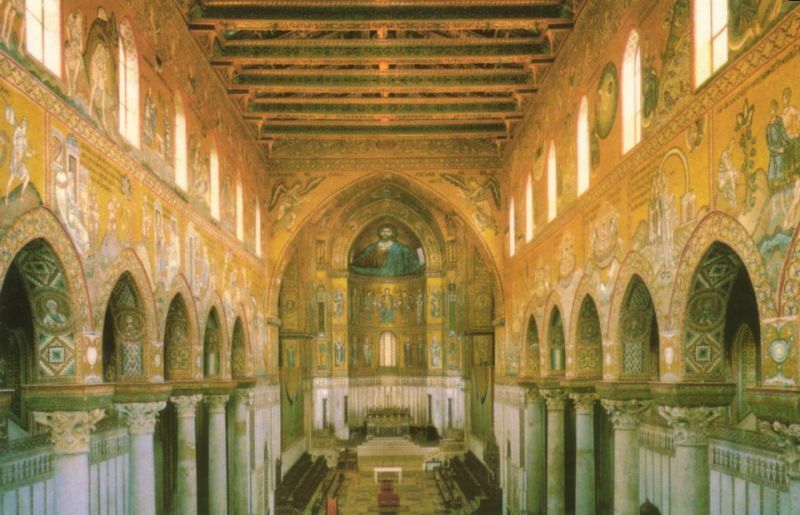 William II ‘s wish to build the most extraordinary cathedral in Sicily, is still a fact. BY BUS: from Palermo bus 389 leaving from Piazza Independenza (length: 30 minutes, services: every hour). The bus calls at near the cathedral on Piazza del Duomo. 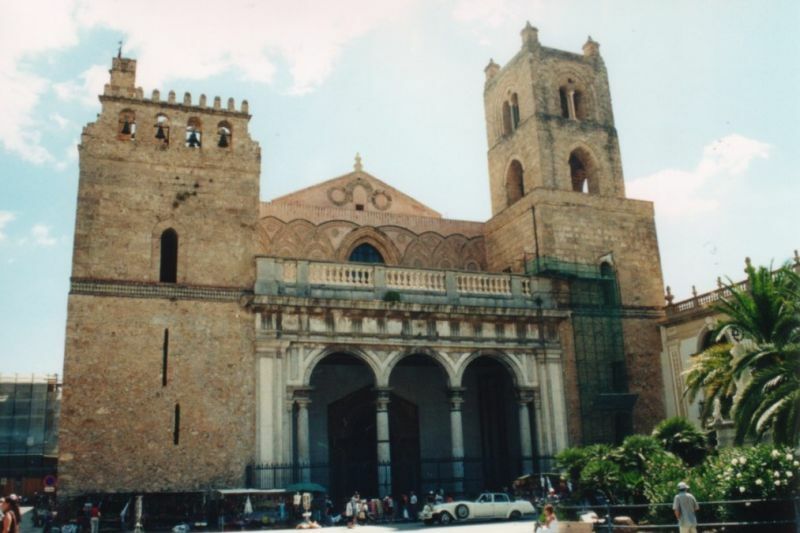 BY TAXI: from Palermo (Quattro Canti) to Monreale is about € 20.